The humble-but-heroic hamburger is one of the world’s great dishes, so after picking the 50 best burgers in America, we wanted to go that little bit further and help our readers find the best Georgia Burgers. 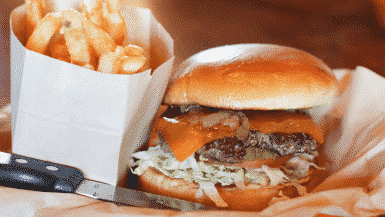 From the huge stacks to simple cheeseburgers, there are some incredible options for you to work your way through in the Peach State. 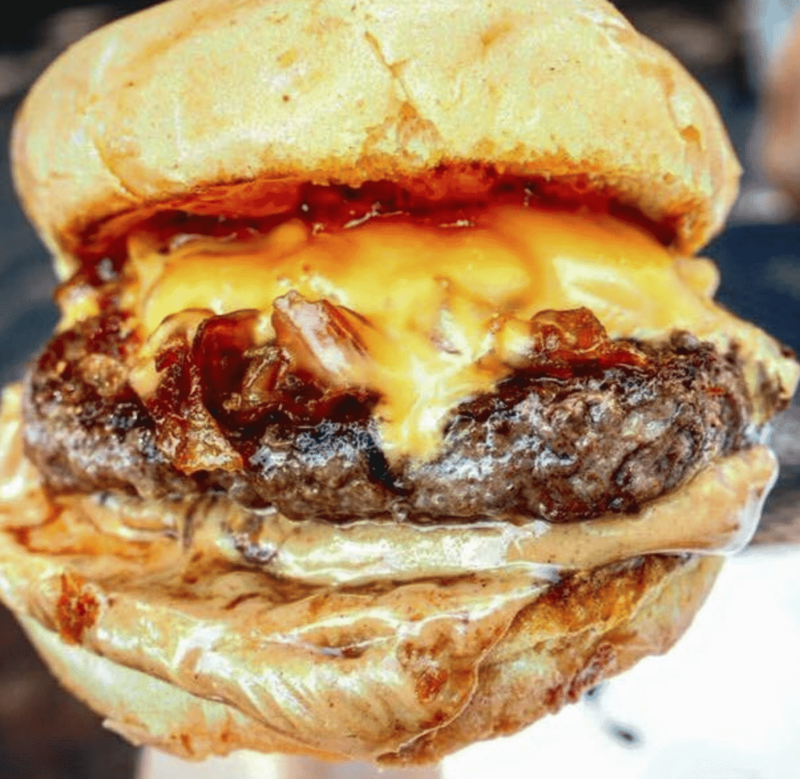 Grab a buddy and start eating these amazing burgers all across the state… You might also want to check out the 7 most Instagrammable spots in Georgia. 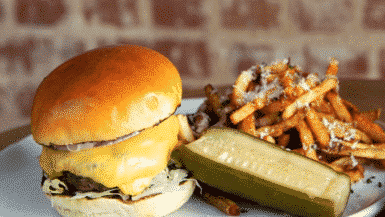 Style your own droolworthy burger in three steps at the Grindhouse. Choose from beef (a tender brisket and chuck blend), turkey or veggie, choose your size and add on any toppings you like. A potato bun finishes it all off perfectly. Farm Burger sources the best quality ingredients they can get their talented hands on, so you know the burger is going to be good. 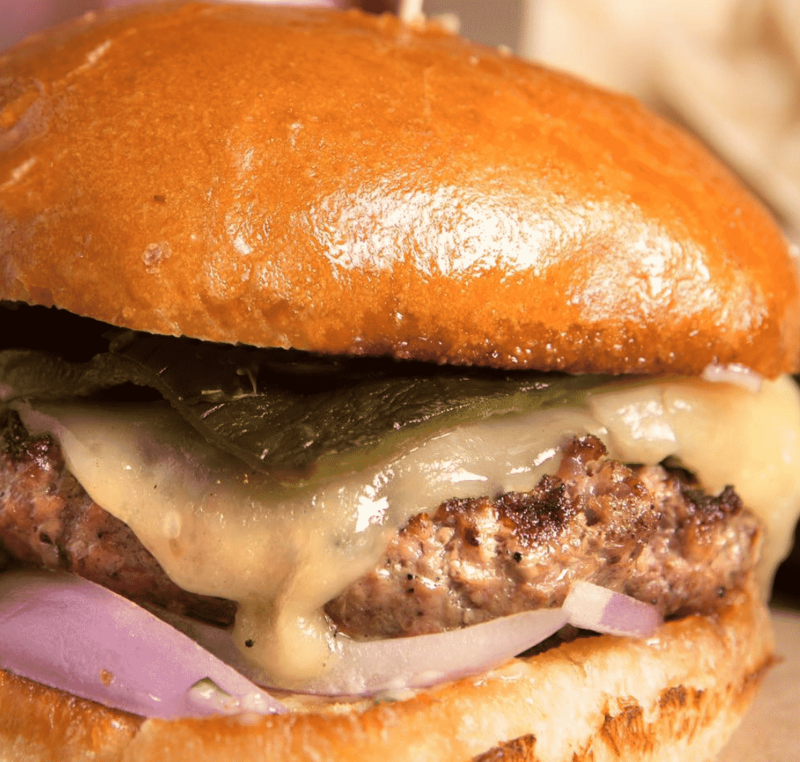 Their signature burger has 100% grassfed, grass-finished beef burger with aged white cheddar and caramelized onions. 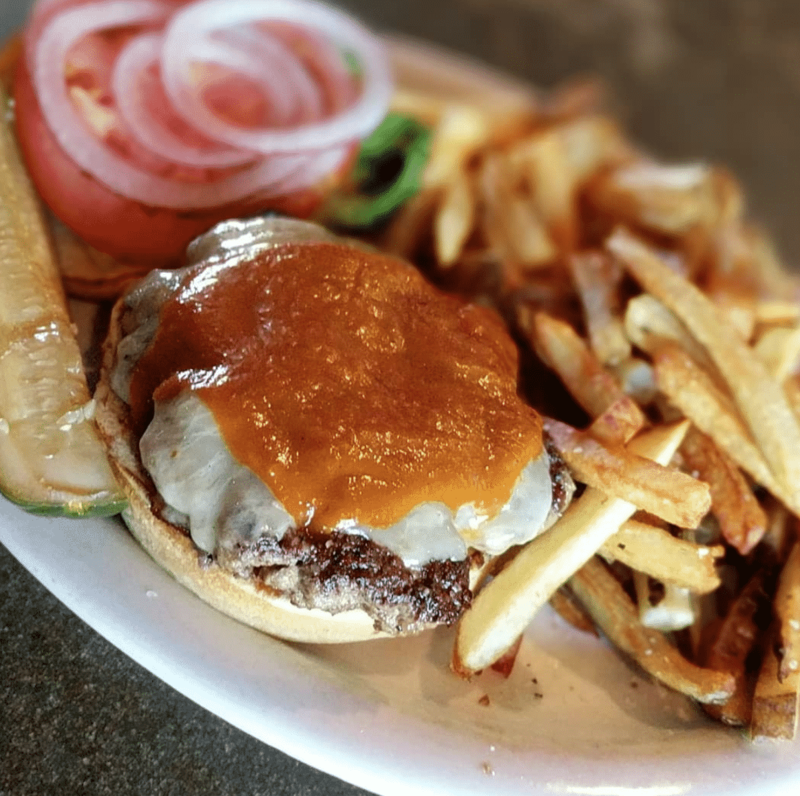 The Red Eyed Mule specialises in Black Angus Ground Chuck burgers that’s seriously tasty.. Their beef is always fresh, never frozen (they hand pat their burgers everyday) and come served on buttered and grilled Texas Toast. 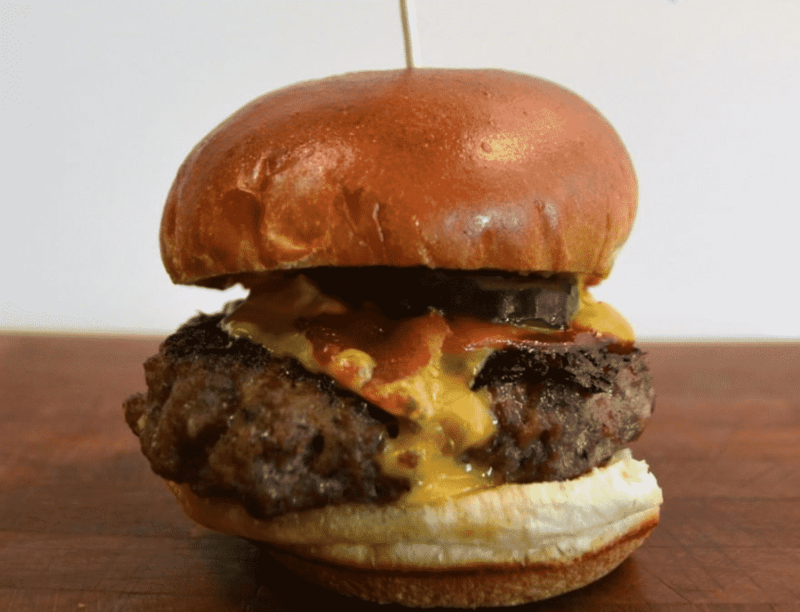 These dry-aged, double patty beef burgers are made from a custom grind of Chuck, Brisket, and Short Rib and you can taste the premium quality in every bite. Change it up with a range of incredible toppings, including a Bacon Jam or Pork Belly Confit. 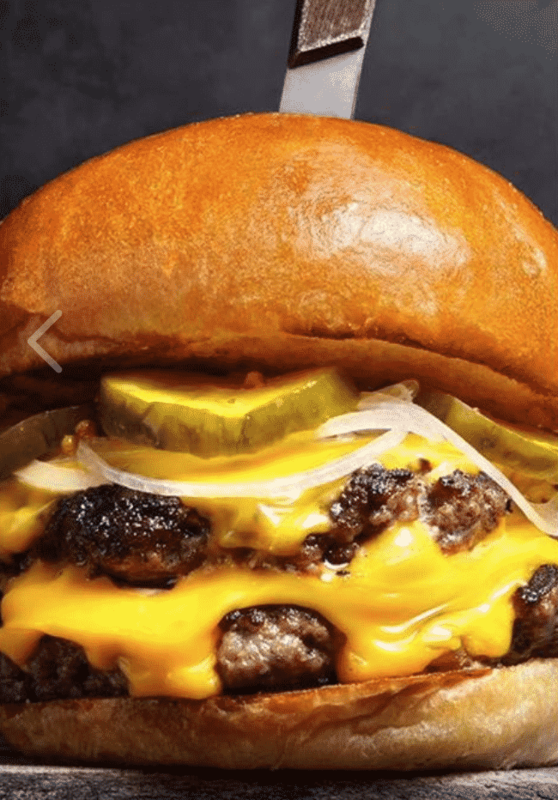 A beautifully baked brioche bun, double beef patties, pickles and oozing cheese are all it takes to make this burger a real showstopper. It’s only on the weekend brunch menu, but trust us – it’s worth getting out of bed for. 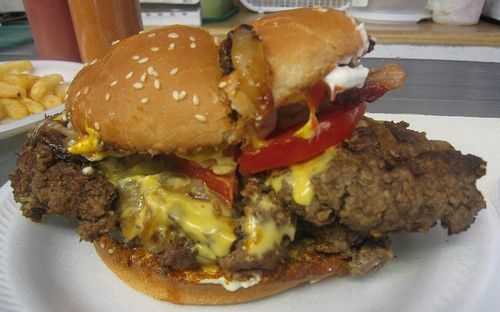 Double Patties, Apple Wood Smoked Bacon and Tillamook Cheddar. Add a fried egg if you’re super hungry. 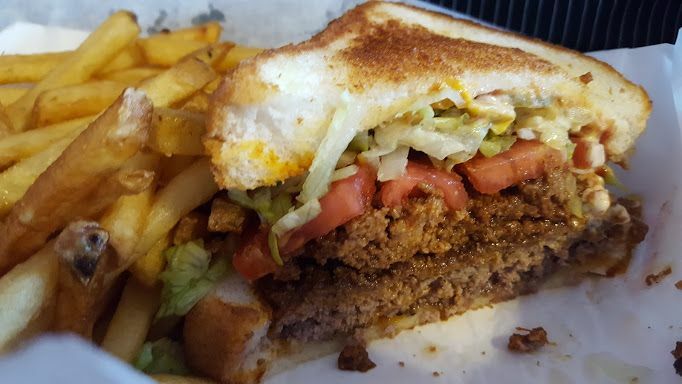 It may be that little bit out of the way, but if you’re driving along the I-16 and are in the mood for a juicy burger then this is the spot to go to. Double griddle-smashed patties are slathered with ketchup, mayo and mustard, with crunchy bacon to finish it off. This roadside restaurant is well known for its famous Donut Burger. Intense, yes, but incredibly tasty. 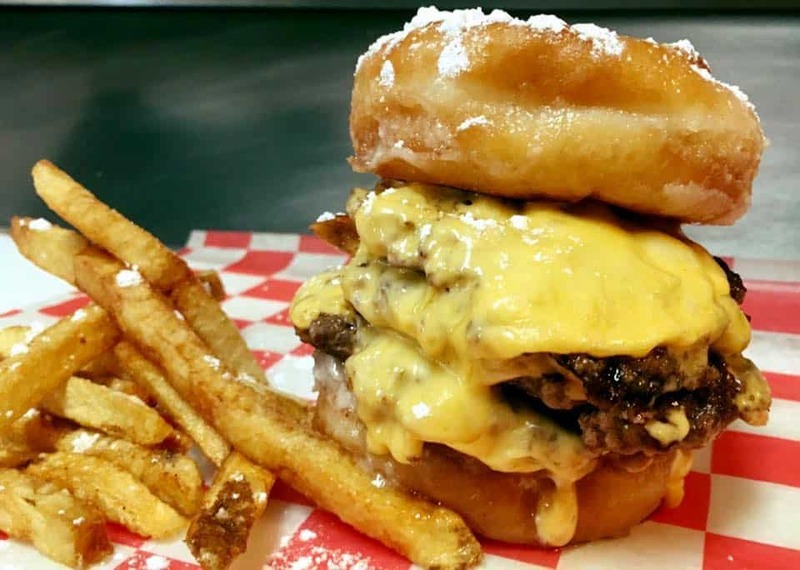 The sweet donut brings out the juicy flavours of the beef patties, while the layers of cheese tie it all together. A side crispy fries makes this the ultimate cheat meal. 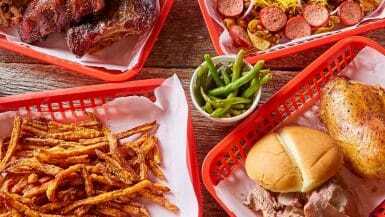 It might look like a hole in the wall BBQ joint, but don’t let appearances fool you. 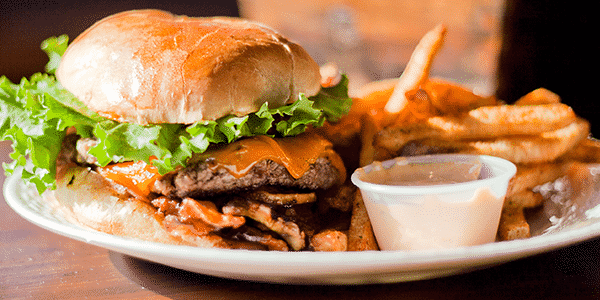 The smoky Hickory Hamburger isn’t on the menu, but the owner will happily grill one up for you. It arrives simply with ketchup, mustard, pickle (you can add some Jack cheese). The smoky beef is the real star. 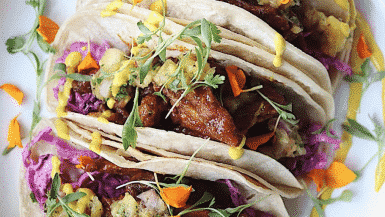 If you’re looking for a real feast, Flip Side Burgers & Tacos has you covered. 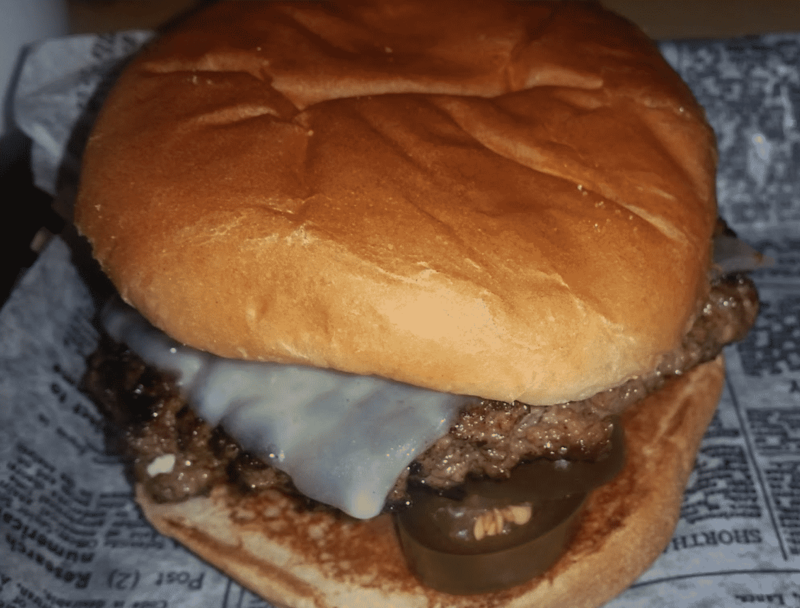 While you can opt for a simple cheeseburger, it’s their Elvis Masterpiece that’s truly list-worthy. 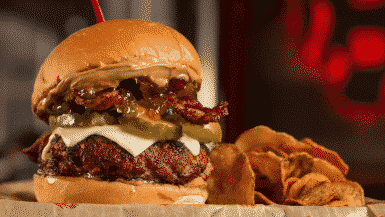 Peanut butter, jalapeno jelly, American cheese and crispy bacon combine for a beauty of a burger. 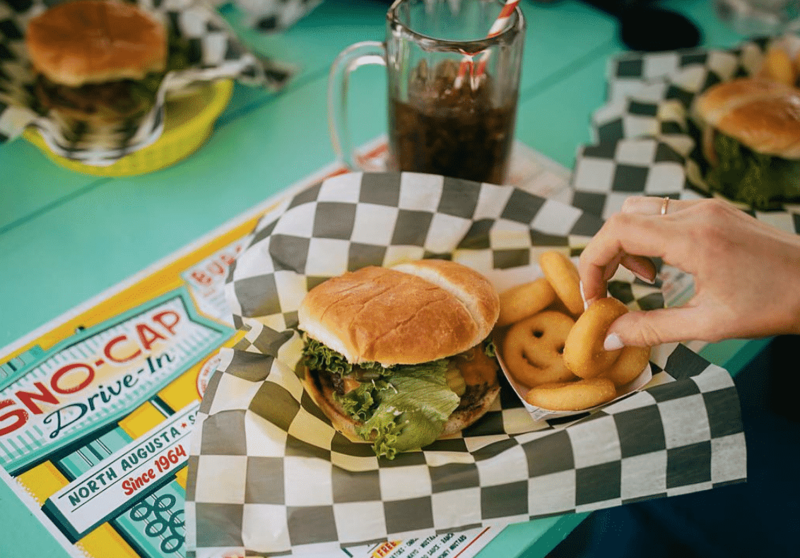 Locally owned and operated since 1964, Sno-Cap is still knocking the ball out of the park when it comes to classic comfort food done perfectly. Buttery brioche buns come from the local bakery, and the beef comes from the local butcher. Great ingredients all wrapped up in one great burger. A stellar 1950s-style fast food chain that never lets you down. 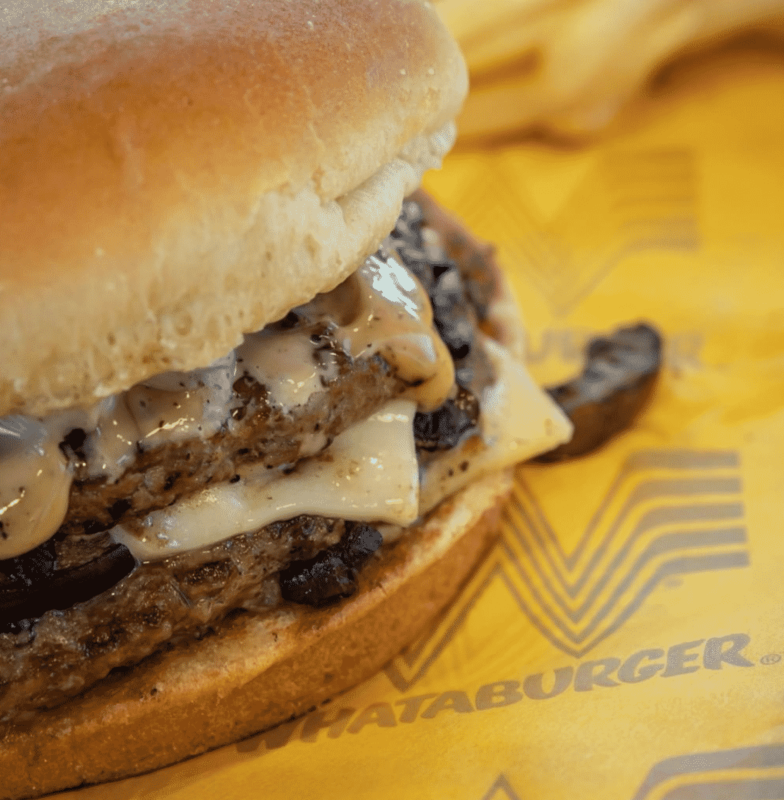 Bring an appetite for the Whataburger With Bacon & Cheese: a 100% pure american beef patty with mustard, lettuce, tomatoes, pickles, onions, one side of large american cheese, three strips of crispy bacon, all served on a toasted white bun. A neighbourhood burger joint for over 30 years, US Cafe now has three locations in Georgia, so you’re never too far away. Angus beef burgers cook fresh to order every single time, with thick slices of ripe tomato, crisp lettuce and juicy beef patties. Hand cut fries and a shake are the perfect accompaniment. Whenever possible, Yeah! 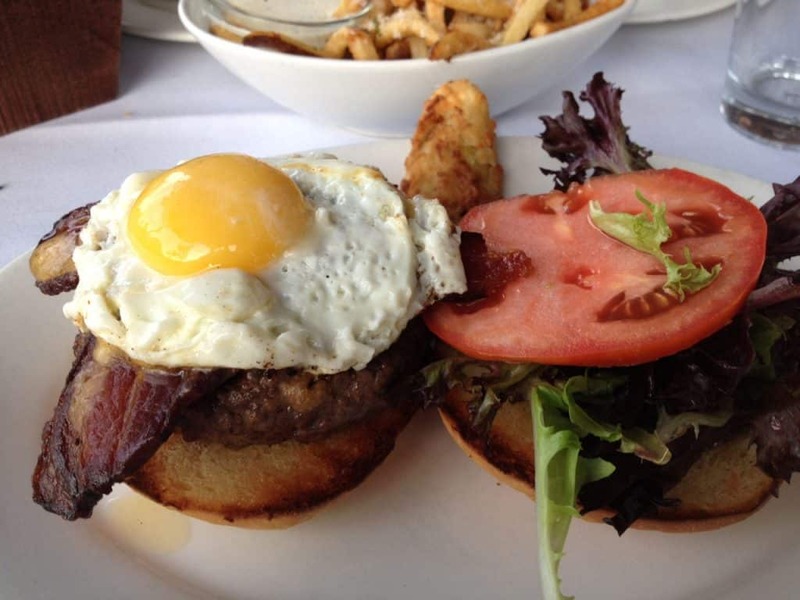 Burger prefers to source local ingredients and celebrate seasonal agriculture, so there’s regular burger specials. 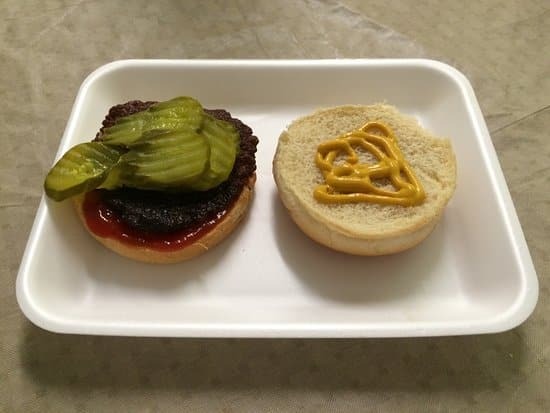 The cheese is organic and burgers come a perfect medium pink. Plus, their grass-fed beef is naturally lower in fat and cholesterol than conventional grain-fed beef. It’s a win-win. 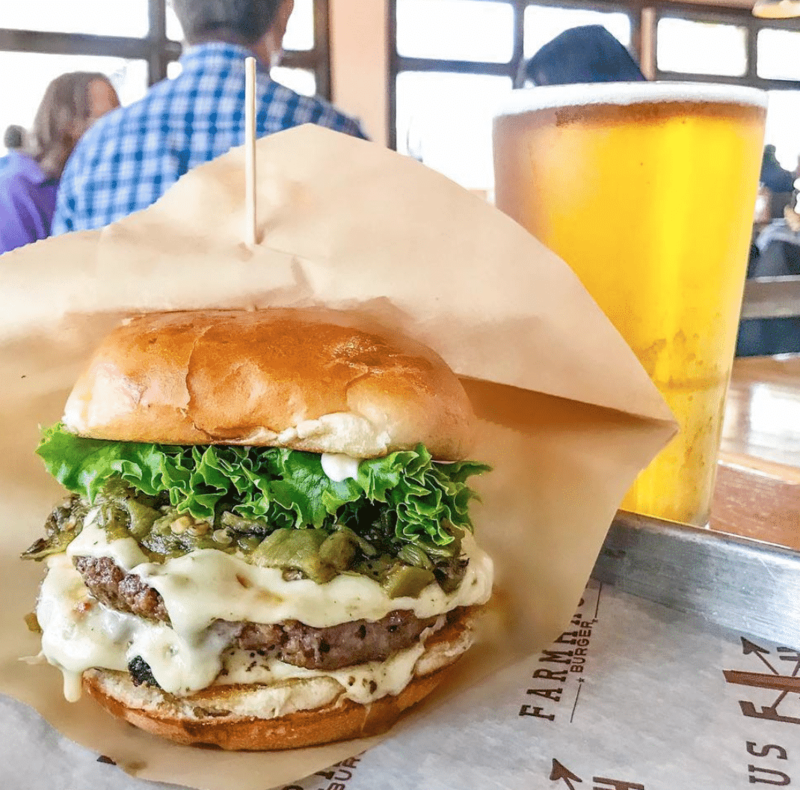 Green Truck Neighborhood Pub does simple food the hard way- by hand making everything from ketchup and pimento cheese to salad dressing and veggie patties. 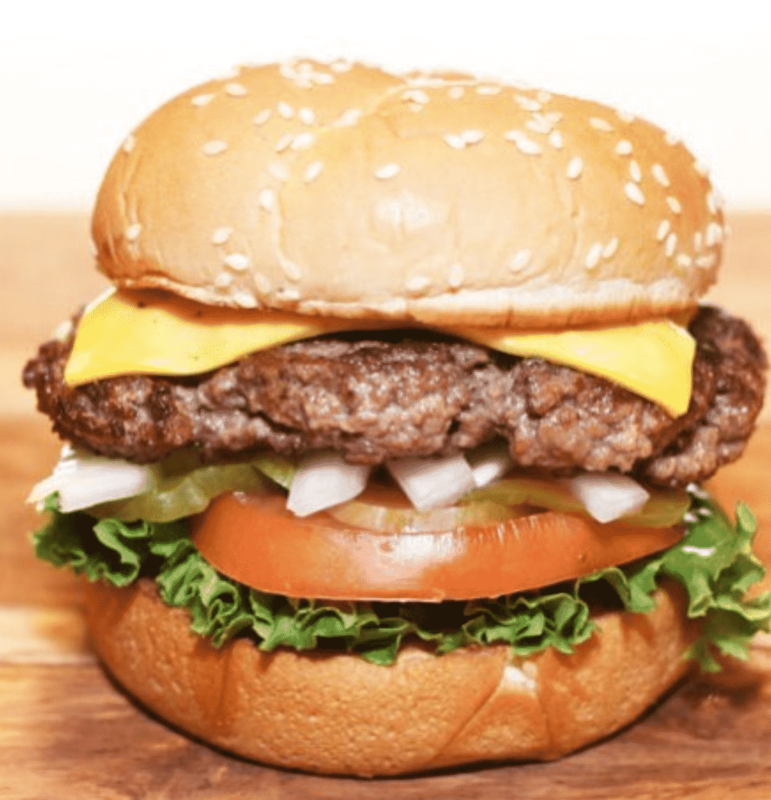 Their burgers are all-natural local beef, with a great choice of toppings. Try the Hot Rod Deluxe: bacon, cheese and sauteed mushrooms and onions. Mr Wing may technically be a dedicated chicken wing joint, but it also serves up some seriously good burgers. 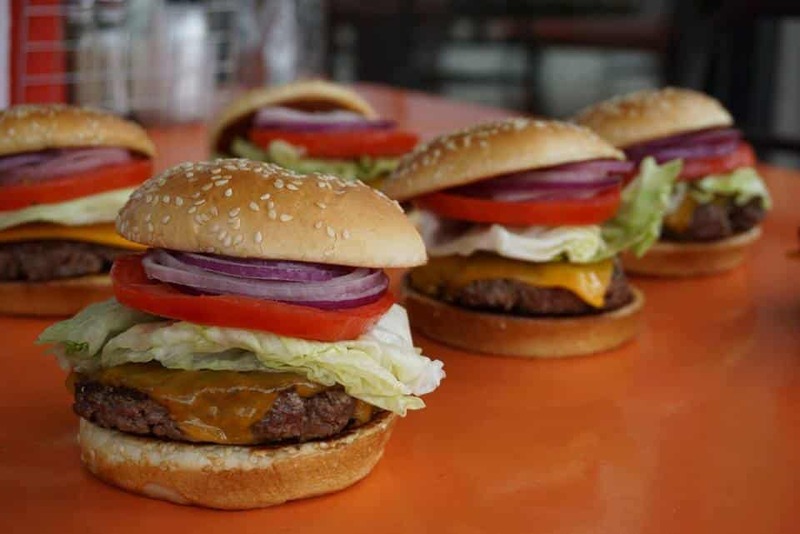 The original burger on the menu is still the go-to choice: 1/2 lb of delicious beef, lettuce, tomato mayo and cheese. Simple, but perfect. Whether you go for a Taco seasoned burger with spicy ranch, pepperjack, lettuce tomato and a dollop of guacamole or a good ol’ fashioned American Cheese, there’s something here for everyone. Be sure to order some fried cheese curds to start. 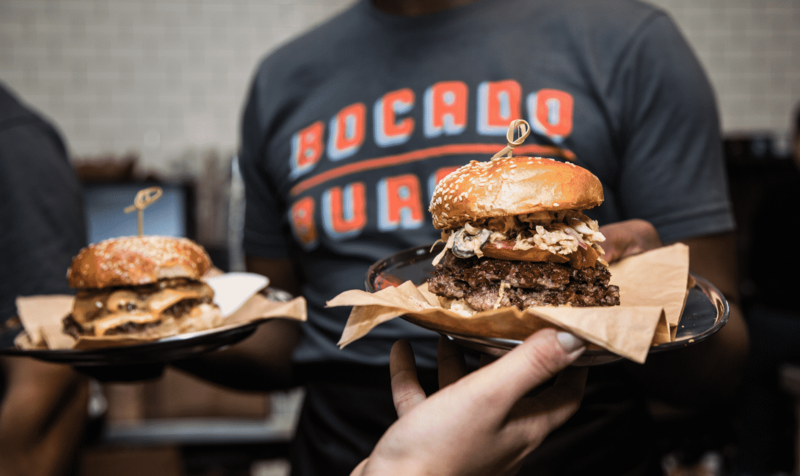 Independently and locally owned, Bocado Burger prides themselves on sourcing the best ingredients from producers who preserve the heritage in farming practices. This means certified, grazing black angus cattle, no hormones or antibiotics, and 100% non-GMO oil. The result? Pure excellence, time and time again. 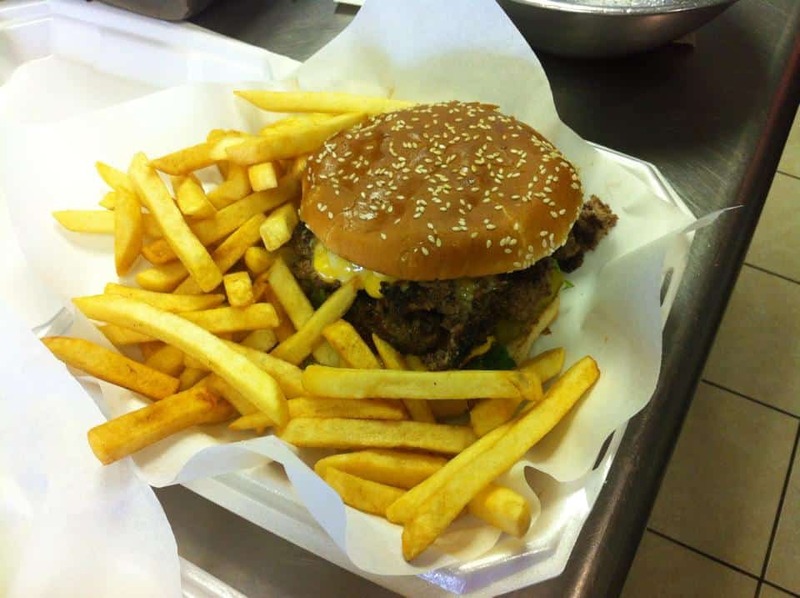 Village Burger is a super family-friendly restaurant that has consistently delectable burgers at great prices. Double beef patties are grilled medium and full of flavour. Top it all off with a frozen custard for the perfect meal. Although Miss Ann Price of the legendary Ann’s Snack Bar has passed away, her famous Ghetto Burgers live on and the crowds keep on coming. 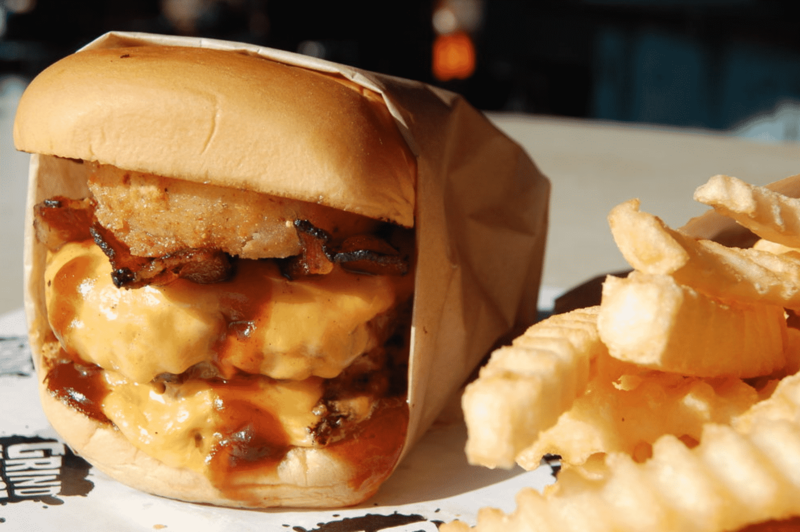 The five-inch-tall double-patty masterpiece is a deliciously messy burger to eat. You can’t come to Atlanta and not pay a visit here. 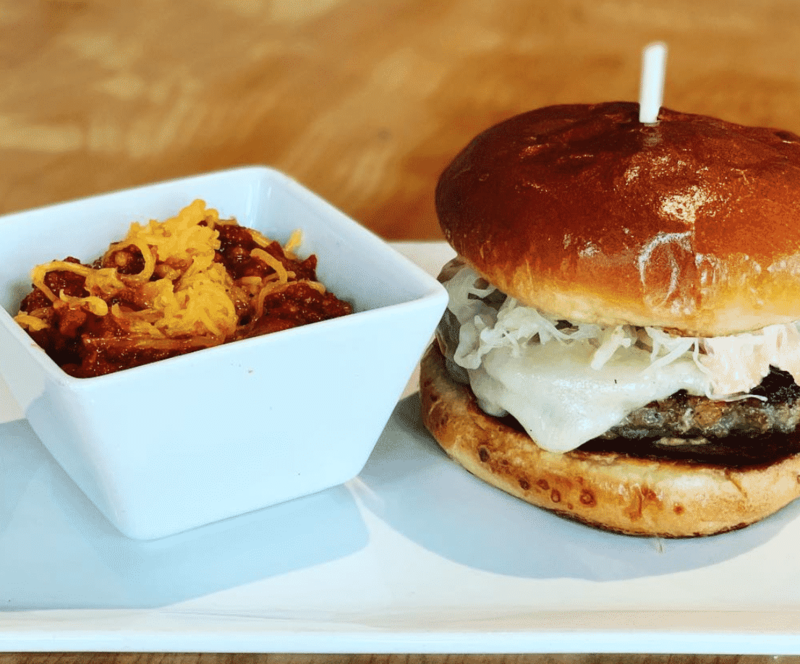 The Specialty Burgers here come with unconventional flavors – inspired by midtowns and cities from around the globe. Two of must-try burgers at Midtown Grill include the New Orleans with Swiss, creole shrimp, Louisiana hot sauce, grilled onions and bourbon glaze and the Honolulu with pineapple and teriyaki sauce. Classicaly trained chefs delivering gourmet sliders? It’s a match made in heaven. 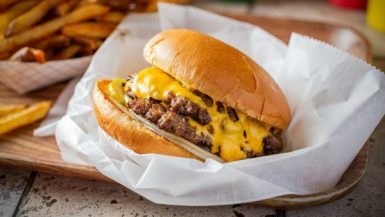 Sly’s Sliders and Fries takes superb burger creations and serves them in bite-sized proportions, so you can try a few different styles and toppings in the one visit. Muss & Turner’s has gone from strength to strength in the past 15 years or so, with burgers so good you’d drive miles for one. 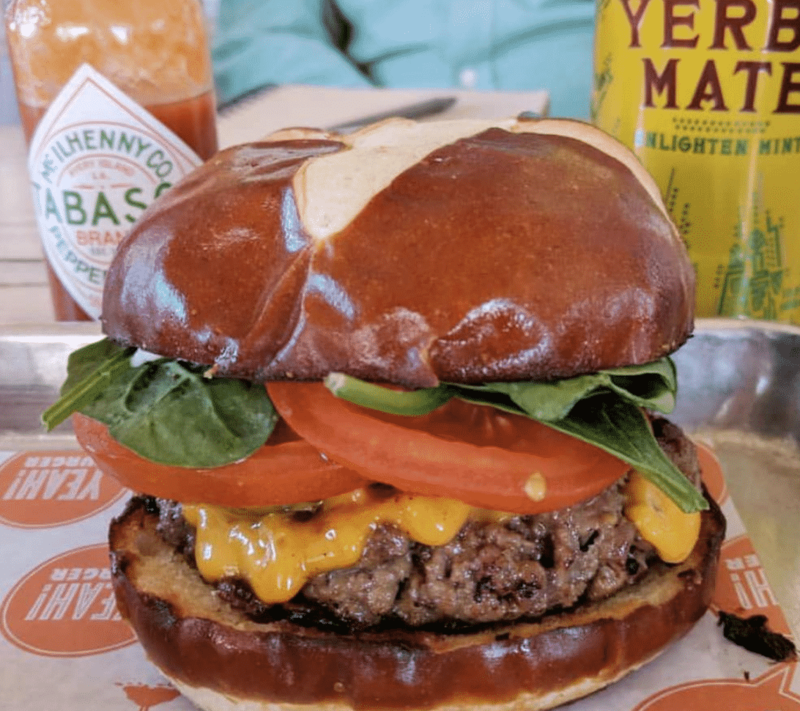 They source local ingredients when available, use artisan bread and add cilantro mayo and poblano peppers to their signature burger for a punch of flavour. 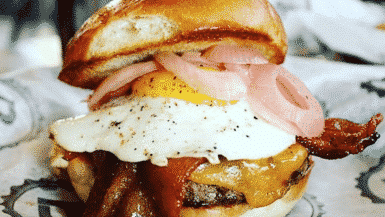 The General Muir is a modern American restaurant inspired by classic New York Jewish deli, that takes burgers to a whole new level. 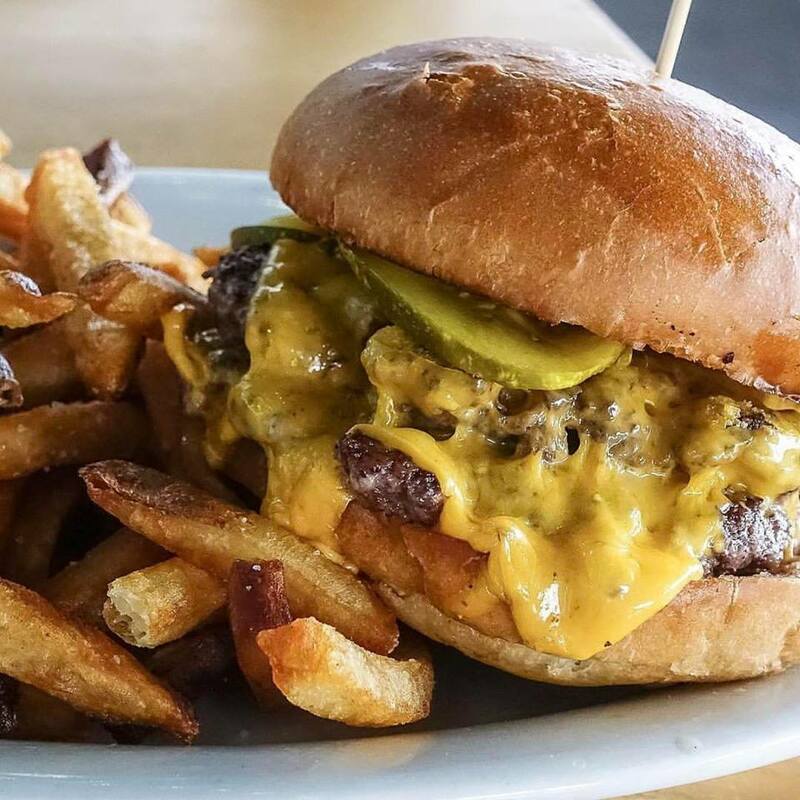 Their truly perfect Burger Stack comes with American cheese, shaved onion, bread & butter pickles and golden fries and is hands down the best burger you’ll find in the entire state. Fact. 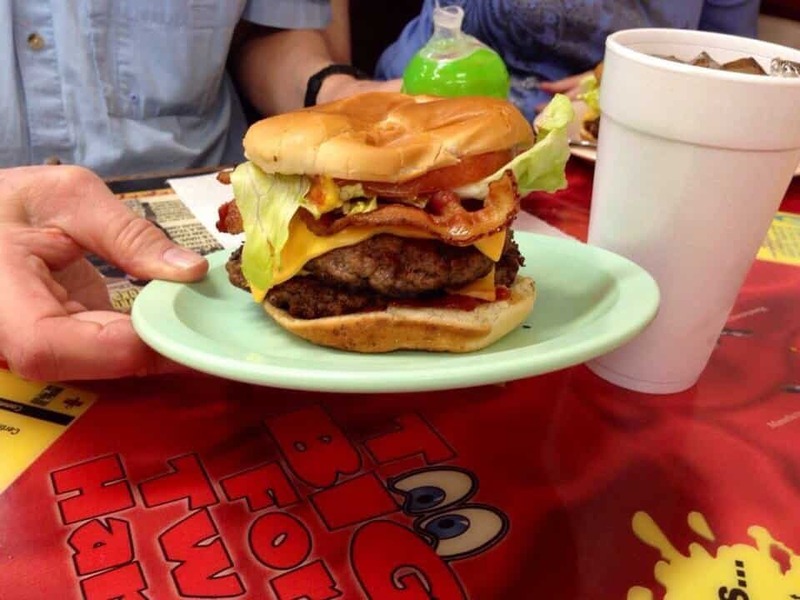 If you loved the best burgers in Georgia check out the 50 best burgers in the USA or the 50 best pizzas in America. 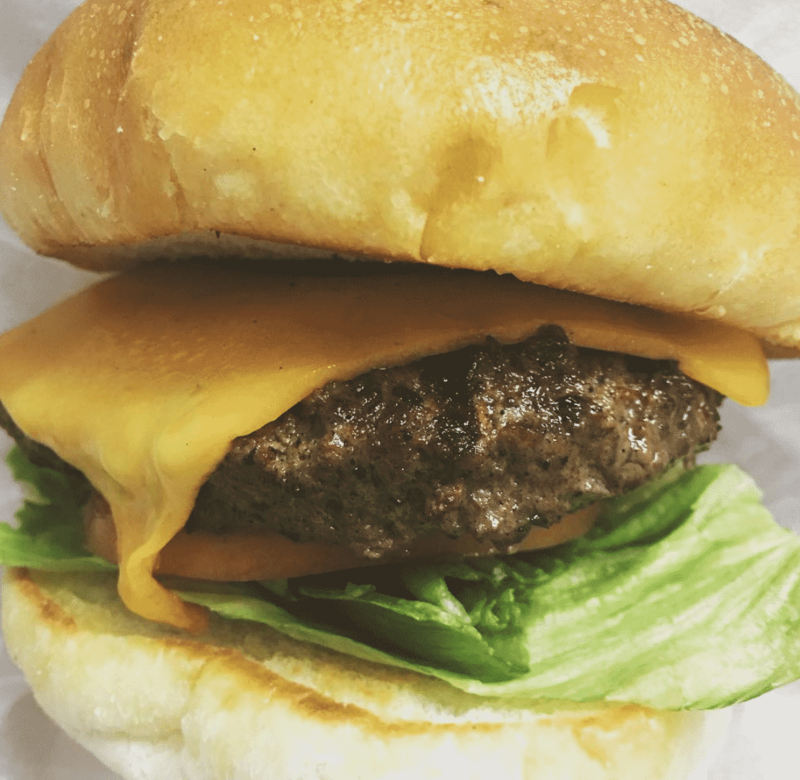 For a pure hamburger / cheeseburger, Hamburger Mike’s in Stockbridge and Sue’s Burgers in Blue Ridge have to be on your list. I have had several burgers from Green Truck Pub in Savannah and Farmhaus in Augusta. They’re both amazing burgers. But one of the best that’s missing from this list, possibly my favorite, comes from Friends Grille and Bar in Valdosta, GA!! It’s a must on any top burger list.